Who is it For? : Motivated Beginner to a CS student who needs a refresher or doesn’t like how their prof is explains things. 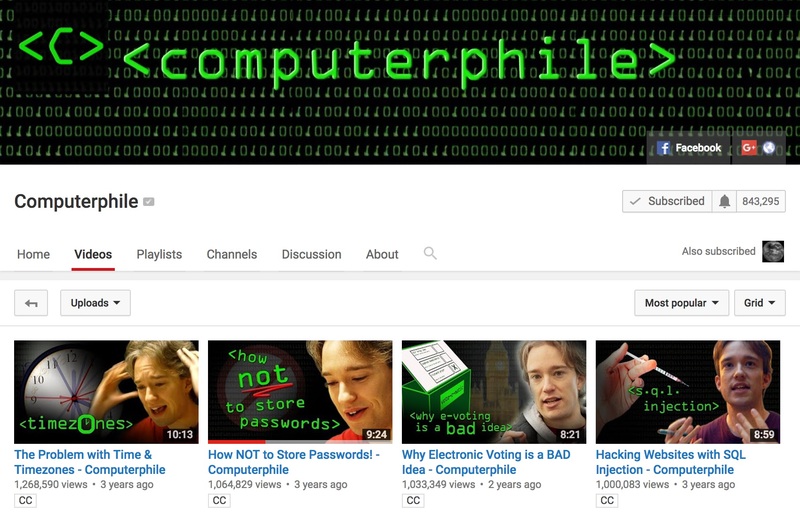 Why I Like It: The folks behind Computerphile create high quality computer science videos that explain the underlying algorithms and thought processes driving computer technology. Typically lasting around the 10 minutes, if one video seems too advanced chances are good they’ve included links to other videos in the description.